Video poker is one of the most popular casino games and as such, it is no surprise that there are many myths and stories about it. Perhaps, one of the things that contribute to them is the fact that the game is played on a video machine, similar in appearance to the slot one which inevitably gives rise to questions concerning the game’s plausibility and fairness. Throughout the years, video poker has provoked many heated discussions about some of the most popular myths. Many players are prone to believe that certain myths are true, whereas others are rather sceptical and consider such stories to be simply a figment of someone’s imagination. Let’s have a look at some of the most popular such beliefs in order to decide to what extent they affect the players’ performance. One of the biggest myths that many players are prone to believe is that video poker machines are predetermined in some way. However, this is not the case as most of them use the so-called Random Number Generator, often abbreviated as RNG. In order to understand how video poker machines operate, it is essential to get familiar with the functions and the role of the RNG. It is one of the most complicated devices of this type and it is responsible for shuffling the cards throughout the game in a completely random manner. Moreover, video poker machines are constantly regulated by independent testing authorities in order to make sure they are fair and random. The RNG is completely legitimate and it is used by a number of reputable online casinos. Therefore, thanks to it, it is not possible for the casinos to preset the game in any way or for the players to predict the upcoming cards. Every reputable casino has taken the needed measures in order to assure that its video poker machines are fair and credible. It is best to play in only well-established casinos which have a strong reputation in the gambling industry. Some players are convinced that the high denomination machines would pay more in comparison to the low denomination ones. Perhaps, the reason why this myth has appeared in the first place is that players often forget that when they play on high denomination machines, they wager more per hand. Throughout the years, a number of surveys have been done on the matter and the final conclusion is that as long as both machines offer the same pay tables, the payback percentage will be similar. The denomination of the machines doesn’t have an impact in such cases. It is the pay tables that indicate whether players will get higher or lower payouts. Another popular myth that many players believe in, is that if a video poker machine hasn’t dealt Royal Flush in a while, this winning combination will inevitably occur in the near future. However, nothing could be further from the truth as sadly, there is no such thing as “due” machines in video poker. 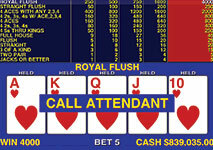 Statistically speaking, it is calculated that Royal Flush might occur approximately once per every 40,000 hands. However, taking into account the fact that video poker machines use RNG which deals the cards in a completely random manner every time, there is a possibility to get Royal Flush twice in a roll or don’t get it at all even if players play more than 80,000 hands. There are many players who believe that if the video poker machine has just provided Royal Flush, it is predetermined not to produce such a winning combination for some time. However, the truth is that if someone had a winning combination, there is a real possibility to get it once again in the near future. When it comes to video poker, there is no such thing as “cold” or “hot” machines. Even if it feels like that sometimes players are on a winning or losing streak, these cases are completely coincidental. As already indicated, the reason for this is the RNG in use which doesn’t take into account which winning combination had already occurred. It simply shuffles the decks virtually in a swift manner and it deals the cards randomly every time. Perhaps, one of the reasons why this belief has gained in popularity so much, is the lack of trust in the online casinos. However, nowadays there are a number of online casinos that have impeccable reputation due to the fact that they employ cutting-edge technologies and advanced systems. Every well-established online casino is fully regulated and licensed by an independent gaming commission, responsible for the respective region. Therefore, players can rest assured that online video poker is just as safe to play as its land-based counterpart and most importantly, it gives them the same chances of winning big. Another important thing which many players fail to consider is that the online casinos don’t have the same amount of costs and therefore, they can afford to offer better playing conditions and bonuses. It is true that many online casinos also offer versions which are not beneficial for players, however such variations can be also found in many brick and mortar casinos as well. In order to manage to play online video poker that has the highest payout percentage, always make sure to consider its pay table in advance. Despite the popular belief that it is best to bet the maximum amount for every hand (usually five coins), some players are convinced that if they bet less, their chances of losing will be lower. However, this is not the case as the amount of the bet they place, doesn’t influence the combination of cards the machine will deal. Betting the maximum amount of coins doesn’t guarantee that players will get the best cards, however in the long term it has proven to be their best choice as it can reduce the house edge significantly. In the same sense, inserting the least amount of coins doesn’t prevent them from losing less or getting unfavourable combinations. As strange as it may sound, some players believe that the speed they play at, has something to do with their chances of winning. However, this is not the case when it comes to video poker. In fact, the quicker players play, the faster they will spend their money. Moreover, if they play faster, they won’t be able to fully enjoy the game and to make the best decision for their cards. Perhaps, any myths in regards to this matter are most likely created by the casinos to encourage players spend their funds quicker. Even though many video poker strategies have proven to be very effective, there are still players that believe that the game cannot be beaten due to its virtual nature. They rely on their luck completely and their cards’ choice is based on their gut feeling. Video poker is a game of both pure chance and skills and therefore, the concept that it cannot be won is wrong. With a reliable strategy and skills, it is possible to make a profit in the long term. 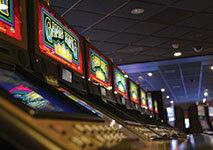 Moreover, video poker has a moderately low house edge which is also in favor of the players. Also, in order to manage to retain their winnings, it is essential to have a reliable money management system. It is indeed possible to make a profit in the long term while enjoying video poker by having a reliable money management system. 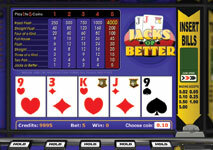 Video poker is one of the most widespread games that can be found in a number of casinos. The game is played on a video poker machine which have greatly contributed to the tons of myths and stories that have emerged throughout the years. The virtual nature of the game gives raise to many questions in regards to its fairness, winning combinations and way of playing. However, in most cases these stories are simply misconceptions and therefore, players shouldn’t fall for them. It is always a good idea to get familiar with them in order to know which statements are simply made up and untrue.